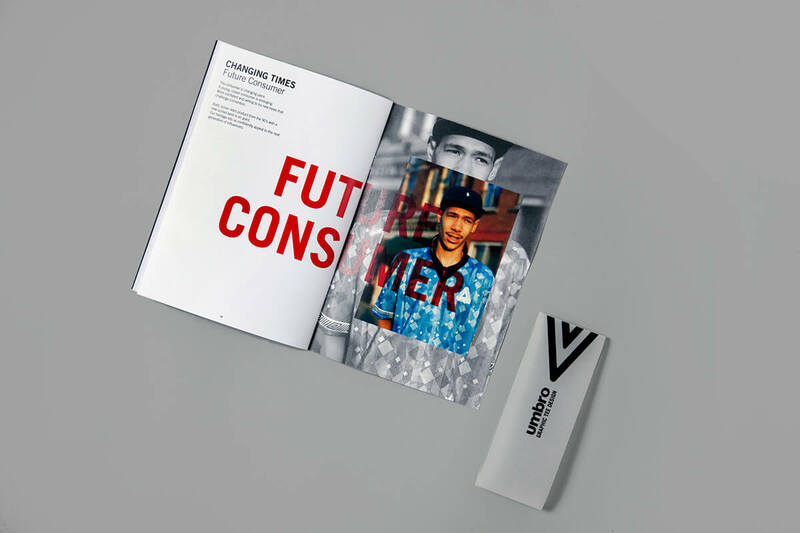 As part of the 2012 Autumn and Winter product ranges Umbro and Footlocker collaborated on a quickstrike range of street wear, available in stores around Europe. 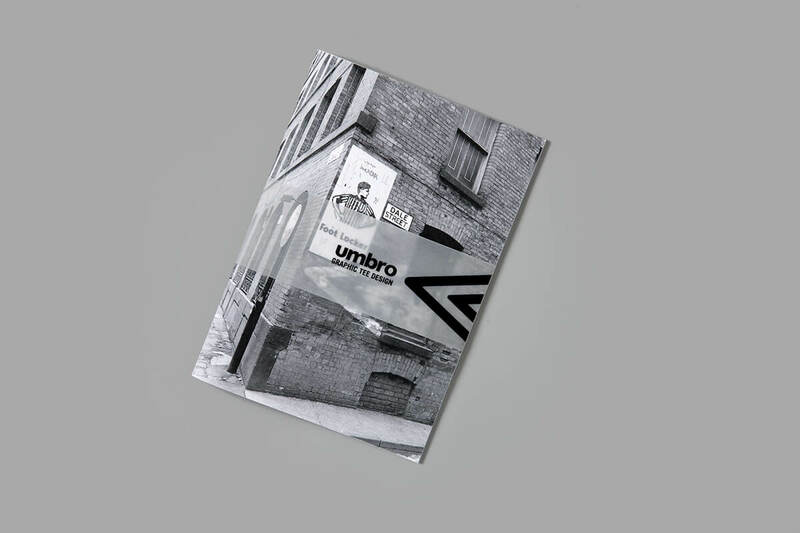 Before the product was selected it was clear that a document would need to be produced to showcase not only the garments, but put confidence into a buyer that Umbro could deliver to a younger demographic. 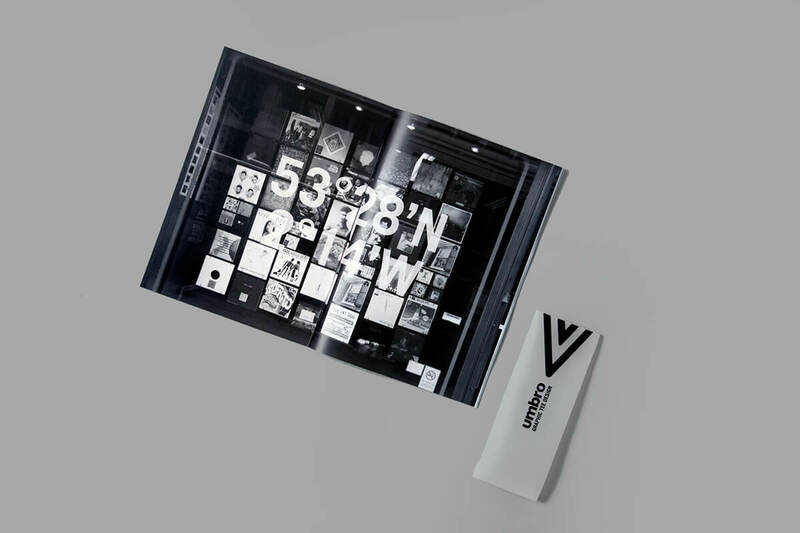 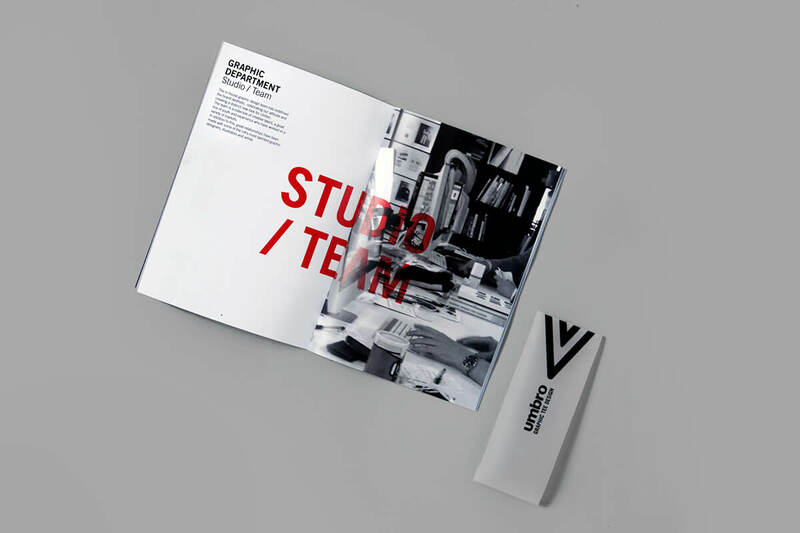 The Development teams required a small sized brochure with banding that would showcase the style of the brand. 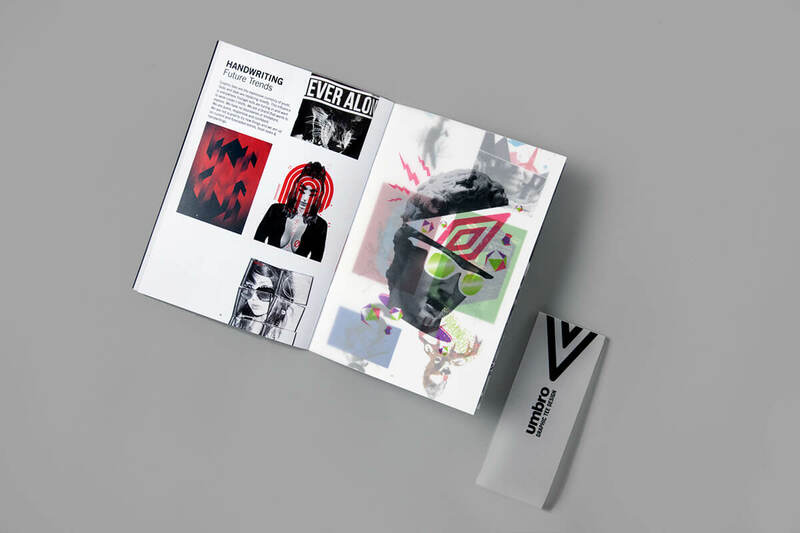 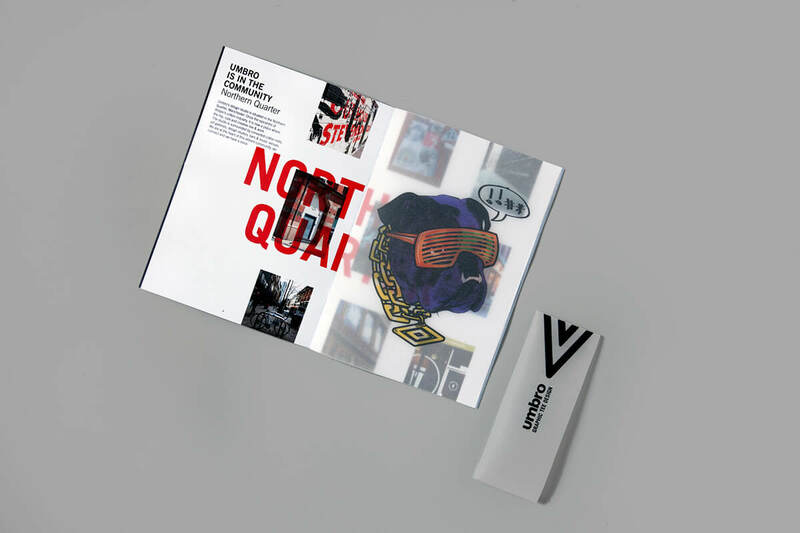 The booklet was used in the sell in of the graphic T-shirt range to Footlocker, appearing in a package with a graphic T-shirt encased in a small screen printed pizza box.